treesensor.com fees are shown in the currency nominated by the user (via the available drop down box) in the online payment section of the report process, these fees may change from time to time. We will notify you of changes to our fee structure by posting a notice on the treesensor.com home. Invoices are generated at the time of payment, and should be printed and retained by the user. 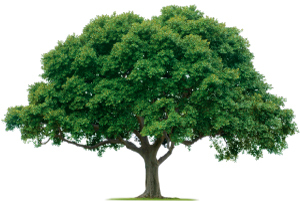 A standard report fee is payable to download your treesensor.com report. This option allows the user of treesensor.com to purchase one off reports. If users of treesensor.com find they are using the service frequently it is recommended they pre-purchase reports to gain savings, or if possible upgrade to a annual subscription. The price per individual report is AUD55. For purchases made in Australia dollars, a goods and service tax (GST) of 10% is included in the price per report. Available to clients with a minimum of 10 sensors, this allows users, with a minimum of to pre-purchase a set number of reports. Prepaid report access for a specified number of downloads, is available to clients with a minimum of 20 sensors. Prepaid annual subscription provides unlimited reports to subscriber for the 12 month period from the date the payment is processed. To qualify for an annual subscription a subscriber must own a minimum of 10 sensors. If the subscriber purchases more sensors they can upgrade their annual subscription to the appropriate level pro rata for that year.